Darrel L. Sandall, Ph.D., is an Associate Professor of Management at the Florida Institute of Technology (FIT). He researches and publishes on the intersection of innovation, technology and human capital management. 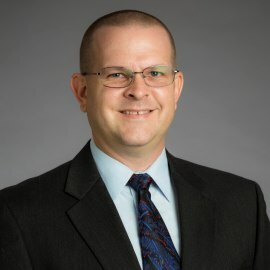 Darrel also serves as the Assistant Director of the Center for Lifecycle and Innovation Management, and is a US Delegate for the ISO Technical Committee 279 – Innovation Management Standards US TAG - WG3. Prior to his current position at FIT, Darrel served as the Chief Operating Officer of Xtreme Alternative Defense Systems, LTD., and as the Chief Skills Officer (CSO) for SkillsNET Corporation, one of the Top 500 fastest growing companies in the United States in 2006 as recognized by Inc Magazine. Darrel also operates Integra Management Associates, a human capital management consulting firm and previously worked as a faculty member in the Department of Technology Leadership and Innovation at Purdue University.